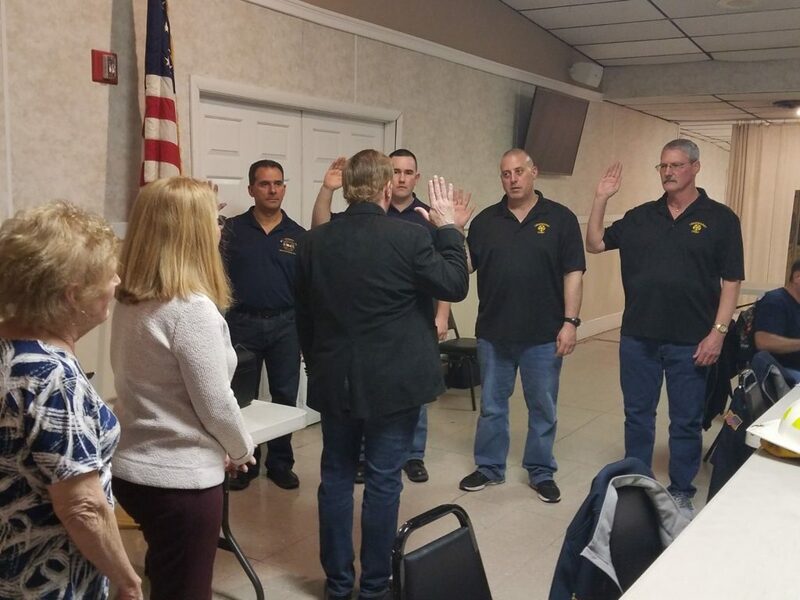 On April 4, 2019, Mayor Michael Lavorata swore in the newly elected chiefs of the Lindenhurst Fire Department. Mayor Lavorata congratulated the chiefs on their election and thanked them for their hard work and selfless dedication to our Village. Pictured here from left to right: Trustee Joan Masterson, Deputy Mayor Maryann Weckerle, Robert Santos – 3rd Assistant Chief, Mayor Michael Lavorata, David Collins – 2nd Assistant Chief, Michael DeGregorio – 1st Assistant Chief, and Craig Santoli – Chief Engineer.